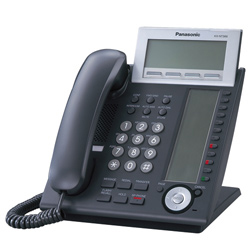 Panasonic is one of the largest electronics companies in the world manufacturing the best traditional phone systems to work with analog, digital or IP phones or a combination of all. IP corded base station (not a telephone) with one SIP DECT Cordless Telephone with charger. Supports 3 simultaneous calls. base station has 1 10/100 BaseT LAN ports. Black IP corded full duplex speakerphone/base station with one associated SIP DECT Cordless Telephone with charger. Supports 3 simultaneous calls. speakerphone/base station has 2 10/100 Base-T LAN ports. The benefits are SIP are especially compelling in today’s business environment where every dollar counts. The reduced hardware costs and simplicity of routing your company’s calls over an internet connection can add up to huge savings on your monthly telephone bill. 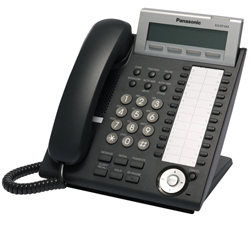 With the Panasonic KX-TGP500 series SIP phone system, you can quickly and easily add up to 6 cordless handsets—each with their own number. All you need is a single internet connection and an electrical outlet near wherever you want to add a handset. And because it employs DECT technology, you’ll enjoy a secure connection and crystal-clear sound. 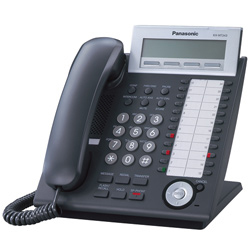 Panasonic offers businesses a choice of phone and trunking solutions, including Analog, Digital, IP phones and Dect Wireless all able to work on traditional analog, PRI or SIP Call Paths. Using a combination of advanced telephony products along with other IP-enabled applications, Panasonic provides richer, fully-capable business communication solutions for your business. Panasonic NS700 provides seamless integration with mobile phones, allowing remote and mobile colleagues to stay better connected— even while on the move. NS700 Systems provide innovative IP telephony features and functionalities over both local office and broadband networks. NS700 can easily connect with an ever-growing list of providers offering SIP trunking services, an excellent way to maximize savings on your long distance charges. Panasonic assures out-of-the box functionality for a complete end-to-end solution. Panasonic NS700 systems give businesses a choice of the solutions that best suit their unique needs. The NS700 platform supports stylish and intuitive IP telephones, SIP phones, DECT 6.0 wireless phones and digital phones, while also supporting many previous Panasonic product models. 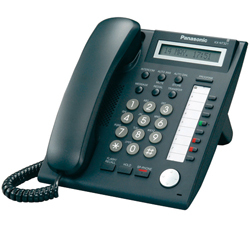 Panasonic Entry Level IP Proprietary Telephone with 1line backlit LCD screen, with 8 buttons/programmable keys. 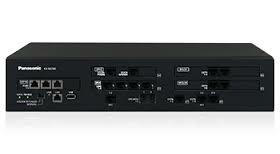 Compatible with KX-NS communication server. 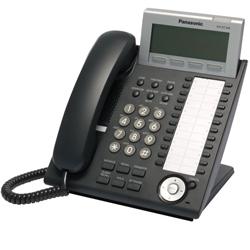 Panasonic fully featured standard IP Proprietary telephone with 3-line back-lit LCD, 24 buttons, self-labeling LCD display. 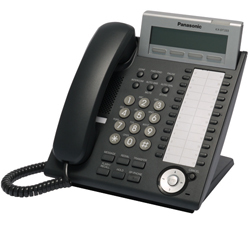 Panasonic executive IP proprietary telephone with 6-line LCD display, 36 programmable self-labeling keys. The design of the KX-TDA50G allows you to expand your system as your needs grow by plugging in additional cards and telephones to the plug-in architecture. This means, if you start with a basic system and find that your needs have grown, you can add additional cards and telephones to your existing system without having to buy a whole new system. And, now the KX-TDA50G supports SIP trunking! In terms of maximum capacity, the KX-TDA50G can support up to 8 CO lines and 28 extension ports which, in turn, can support up to 28 wireless handsets and 24 wired telephones. 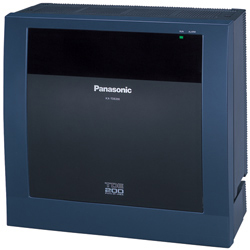 All of the Panasonic KXDT, KX-T7000, 7200, 7300, 7400, 7600 and 7700 series proprietary telephones work with the KX-TDA50G system. So, if you already own a Panasonic system with one of these phone series it will be inexpensive to upgrade to this system. And, while you are upgrading, don’t forget that the KX-TDA50G can also be easily upgraded to our multi-cell wireless telephones, so it’s easy to keep on top of things in a busy working environment. 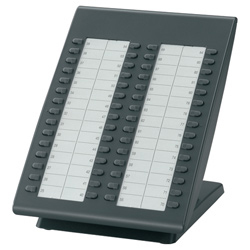 Additionally, the KX-TDA50G has a small, compact design. But that does not diminish its capabilities. A state-of the- art engineering design has enabled the production of a small system that provides for a large amount of features while taking up less room. One of the great things about this system is that it has an optional internal IP Gateway Card for VOIP communications. By using the optional VOIP connection you can connect to a Local Area Network (LAN) or a Wide Area Network (WAN) at virtually no cost to the user! The cost savings come from achieving greater use of your fixed cost infrastructure and less use of variable cost telephone lines. The KX-TDA50G allows you to add a new level of security to your business with the support of optional door intercoms and electrical contacts that permit you to control an electronic door strike or any other compatible electric device through the telephone. Each door intercom has its own distinctive ring and LCD display information so you can easily identify which doorphone has been activated. 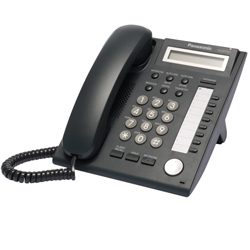 With the KX-TDA50G you can use up to 4 doorphones and 4 contact closures. The KX-TDE100/200’s converged architecture is extremely versatile, providing multiple options to meet the expansion needs of your growing business. To increase the system capacity, the free slot design allows you to add cards to accommodate additional extensions, COs, or features, or you can also expand the system by adding licenses to activate the system’s built-in virtual IP ports. The converged architecture provides easy, cost-effective solutions to meet your expansion needs, so you can grow your communications network without having to purchase a new system. The KX-TDE100 can handle up to 128 CO lines and 128 extensions while the TDE200 can handle up to 128 CO lines and 256 extensions. System capacities will vary depending on the type of interface that is used to connect to the system. 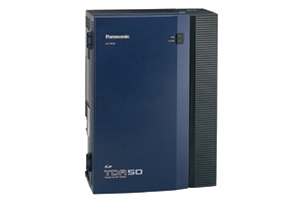 The KX-TDE600 use a modular design lets you expand the system as your needs evolve. The Basic Shelf provides a maximum of 160 ports (288 ports with DXDP1), and with the optional Expansion Shelves, the systems can grow to a maximum 640 ports (960 ports with DXDP2). Plus with the free slot architecture, you can easily insert expansion cards and access new features as well as expand your capabilities. This expandability means you can enhance system capabilities and features to meet your changing needs, without having to purchase a new system. Integrating a Panasonic DECT multi-cell wireless telephone lets you take the benefit ts of the system with you even when you leave your desk. Have you ever had an important customer on the phone and needed to walk away from your desk? Panasonic DECT multi-cell wireless is here to help. 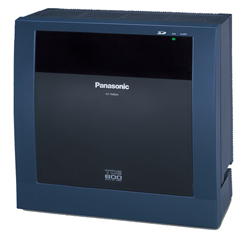 The Panasonic Hybrid IP-PBX system lets you simply continue your current conversation over a lightweight, business-smart wireless telephone while you are away from your desk or moving around the office.This is accomplished by creating a wireless coverage area by installing cell stations throughout your location. No matter where you move throughout the coverage area, you stay connected because your wireless connection is handed off from cell to cell seamlessly. 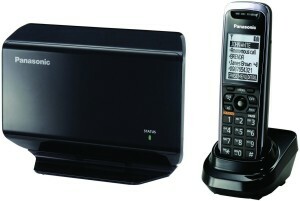 Introducing the KX-NT321-the latest addition to Panasonic?s acclaimed NT300 series of IP telephones for business. It offers nearly the same functionality as its siblings but in a more cost-effective configuration. The NT321 includes a second LAN port for connection to a PC, so you can harness the power of an additional connection without extra clutter on your desk. It also supports Voice Encryption for extra security and features Automatic Rerouting to a secondary PBX should a disturbance occur. 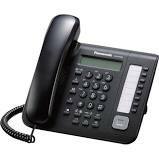 Expandable IP Telephone with 24 Buttons, 3-Line Backlit LCD, Speakerphone and Power over Ethernet (PoE), Black. IP Telephone with 24 Buttons, 6-Line Backlit LCD, Speakerphone, Self Labeling and Power over Ethernet (PoE), Black. 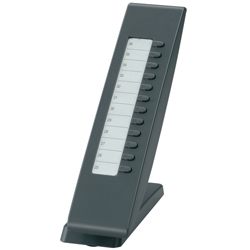 12-Key IP Add-On Module, Black. 60-Key IP Add-On Module, Black. The KX-DT321 series of business telephones features outstanding voice quality and a range of productivity-boosting features, including support for Bluetooth-enabled wireless headsets on two of the four new models. 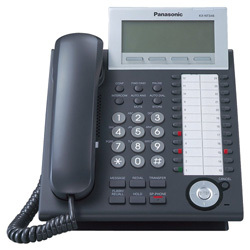 Sporting a sleek “double-tilt” design with a base unit and display that can be adjusted separately to match any work environment, the new phones integrate easily with Panasonic’s different telephone platforms. Compatible with either the KX-TDA, KX-TDE or NCP switches. The KX-DT300 series of business telephones features outstanding voice quality and a range of productivity-boosting features, including support for Bluetooth-enabled wireless headsets on two of thefour new models. 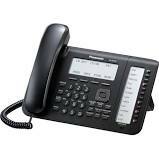 Sporting a sleek “double-tilt” design with a base unit and display that can be adjusted separately to match any work environment, the new phones integrate easily with Panasonic’s different telephone platforms. The KX-DT300 series of business telephones features outstanding voice quality and a range of productivity-boosting features, including support for Bluetooth-enabled wireless headsets on two of the four new models. 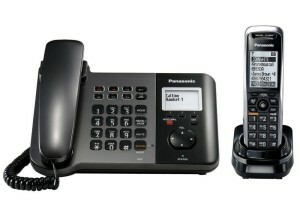 Sporting a sleek “double-tilt” design with a base unit and display that can be adjusted separately to match any work environment, the new phones integrate easily with Panasonic’s different telephone platforms.